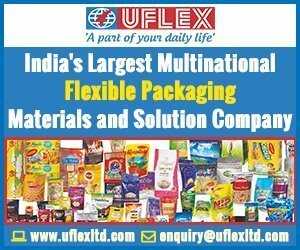 Uflex recently commissioned its new pyrolysis plant at its Noida packaging division. The new pyrolysis plant’s two reactors can convert 6 tons of plastic waste to fuel a day, which generates nearly 3,000 liters of fuel. 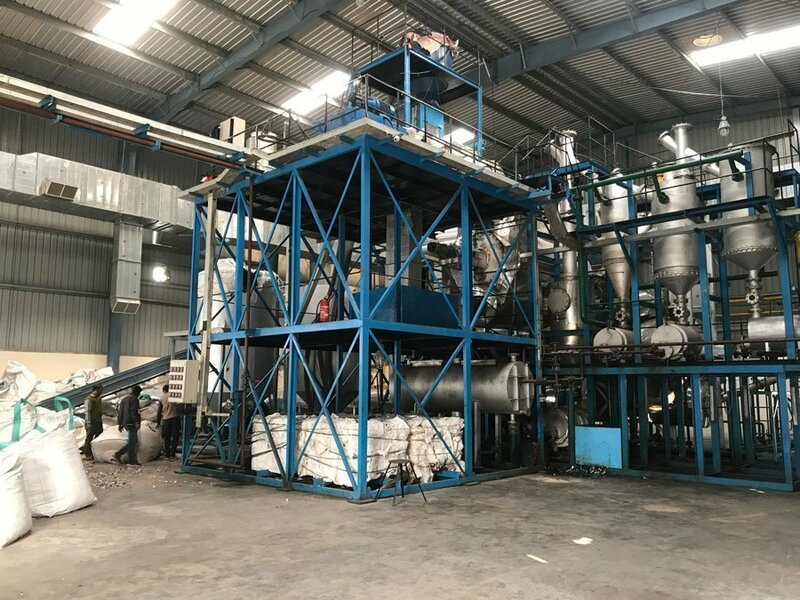 This is the only pyrolysis plant in the whole of North India while there are a few in Maharashtra. Pyrolysis converts waste materials to fuel at high temperatures in an inert atmosphere. 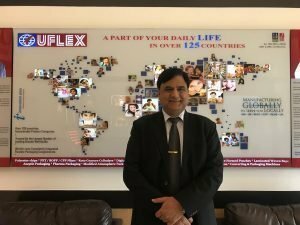 Uflex daily consumes nearly 100 metric tons (≈ 90,000 liters) of fuel to run its plants in Noida for which it purchases gas and low sulphur heavy stock oil to run generators, boilers and other energy-consuming processes. “Through pyrolysis, one has the option to eliminate a large chunk of plastic waste. Usually, plastics throughout the country are being wasted. There is a dire need to segregate and collect plastic waste systematically, and make sure it is utilized efficiently,” says SS Parmar, senior vice president of the Energy Group at Uflex. In this plant, the high total dissolved solids (TDS), which may include minerals, salts, metals, cations or anions in the water used for waste treatment, need to be vaporized. The vaporization process takes place in a low vacuum atmosphere. The heat required to vaporize the particles is provided by a boiler, which uses the surplus gas emitted at the end of the pyrolysis process. “The third product of pyrolysis is carbon black, which is also a fuel with a calorific value similar to coal. One may burn it in PET coke fired steam boilers, firewood boilers or other similar boilers just like any other solid fuel. Thus at the end of the process, the entire waste is converted to three forms of fuel,” Parmar explains. Currently, Uflex generates fuel from 6 tons of plastic waste daily using two reactors – each having a capacity to convert 3 tons of plastic waste daily. It plans to install more reactors as and when an increase in capacity is needed. “I would also like to shed some light on the capital cost which is an important aspect in these kinds of ventures. Uflex has spent nearly Rs. 5 crores to set up this unit. 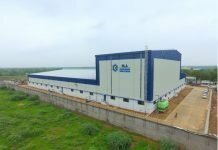 If in case we plan to increase the capacity in near future, we will invest more in this plant,” Parmar shares. At the Uflex pyrolysis plant, tons of mixed plastic are fed into the shredder which cuts long strips or sheets of plastic to small pieces. The resultant is then fed into two silos. Each of the silos is connected to blowers which feed the plastic material to an air lock system. The air lock system is to eliminate the presence of any traces of oxygen within the setup as the conversion process must be anaerobic. The air lock system is equipped with a piston, which compresses the waste and feeds it into a reactor. The actual conversion of solid waste into three forms of fuels takes place inside the reactor which is fitted with a hot air generator (HAG). Initially LPG fired, the HAG is switched to the use of either gas, LPG or HSG oil. The idea of having two reactors is to ensure a continuous process and avoid batch production. The material after passing through the air-lock, piston-fed system is sent to the reactor where with the help of the HAG as a heat source, the entire material is converted to a semi-finished form. 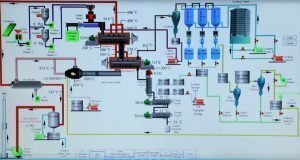 Next, the material is pushed into the second reactor where it is converted to a fully finished form and the three aforementioned forms of fuel are extracted – liquid distillate oil (LDO), hydrocarbon gas and carbon black. At the plastic recycling plant in Noida, Uflex recycles close to 6 tons of plastics each day. 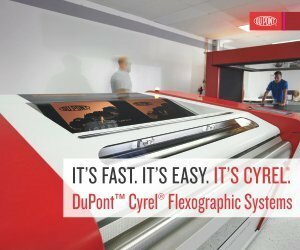 Uflex has placed two machines for recycling plastics such as PP, PE, BOPP, and BOPET among others. 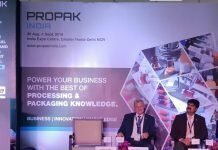 The company collects plastic waste from its printing and lamination lines and its slitting and rewinding unit within its packaging division. In the first machine, the collected raw material is fed into a conveyor. The belt feeds the waste to the shredder which breaks the materials to small pieces. The shredded material is compatibilised in a compactor. The purpose of the compatibiliser is to maintain a homogeneous rheology which is a primary requirement for extruding the mixed plastics in a recycling system. The compacted material is fed into a system called the force feeding screw, which supplies the shredded material into the extruder. The extruder is where the plastic waste is melted and mixed to be shaped into long strands that are cooled in a water tank. The cooled strands are then passed through an air shower which evaporates the moisture. The dry strands are fed into a pelletizer which cuts them into granules. The second machine’s conveyor feeds plastic waste into the cutter compactor. 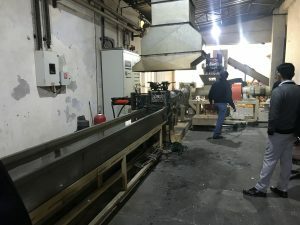 The densified shreds go into the extruder, tangentially connected to the cutter compactor. These are passed through an automatic screen changer which filters the extruded waste for size and impurities. 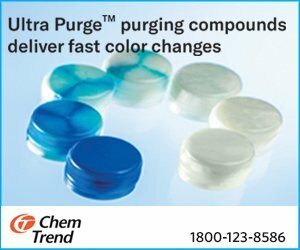 After filtration, the lump is passed through a de-gasser where all the unwanted volatile gasses from the melt are removed. All the gasses extracted by de-gassing pass through a narrow channel and are mixed with water, which is further treated in the water treatment plant of the pyrolysis reactor (the multi-stage evaporation plant). This melt after de-gassing is fed into the die face cutter which cuts the melt into a second set of granules. 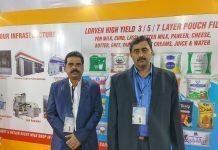 Commenting on the recycling plant Jeevaraj Pillai, joint president of Packaging & New Product Development at Uflex says, “This is a very good concept; one that our country needs desperately because in other countries there are alternate solutions available. In western countries, due to good littering habits, establishing a systematic collection and processing of waste is easier- unlike in ours. A cultural change is required in our country which isn’t possible in a short span of time. 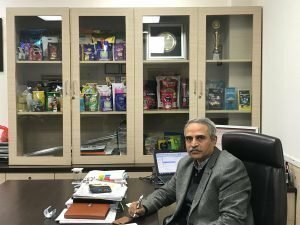 Recently, Nestle India has also come up with a new recycling idea in which it is collecting Maggi noodle pouches from consumers to whom it rewards a packet of noodles. The Uflex team believes that such initiatives are necessary and an important sign of users indicating their responsibility in providing sustainable packaging to protect the environment. It´s very interesting article. Thanks!